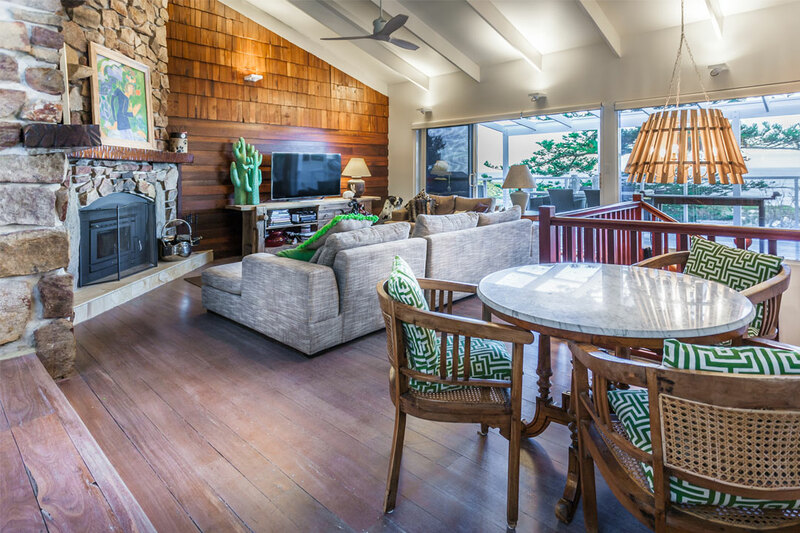 Beautifully renovated by Yallingup Renovation + Construction, this charismatic family abode exudes warmth and showcases sweeping ocean views. A stylish combination of stone, timber and patterned tiles has been used to make the living spaces eclectic and welcoming. A practical wraparound balcony is accessible through glass sliding doors, which can be found in most rooms. The open-plan kitchen and dining area features striking hardwood flooring and a patterned-tile splashback that complements the home’s colourful décor. Eye-catching pendant lights hang from the sloping ceiling to provide illumination and visual interest. The kitchen leads to an expansive walk-in pantry and a barbecue area, where the homeowners can enjoy Yallingup’s natural, leafy landscape. 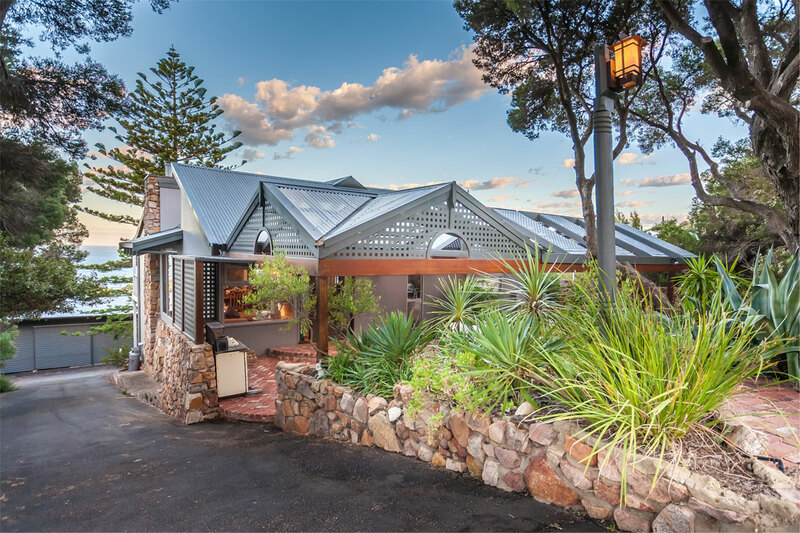 Specialising in high-quality renovations, extensions and new builds, Yallingup Renovation + Construction has extensive knowledge of the South-West region. Operating from Dunsborough through to the ‘Cape to Cape’ area, the company understands the complexities of the region’s unique landscape. Yallingup Renovation + Construction forges strong relationships with local suppliers, tradespeople and professionals in the industry. Working in close collaboration with clients, draftspeople, architects and their team of quality subcontractors, the company strives to achieve the best possible outcome for every project. All of the company’s projects are directly managed by Tommy Trigwell, who is an accomplished carpenter with more than 30 years of experience. 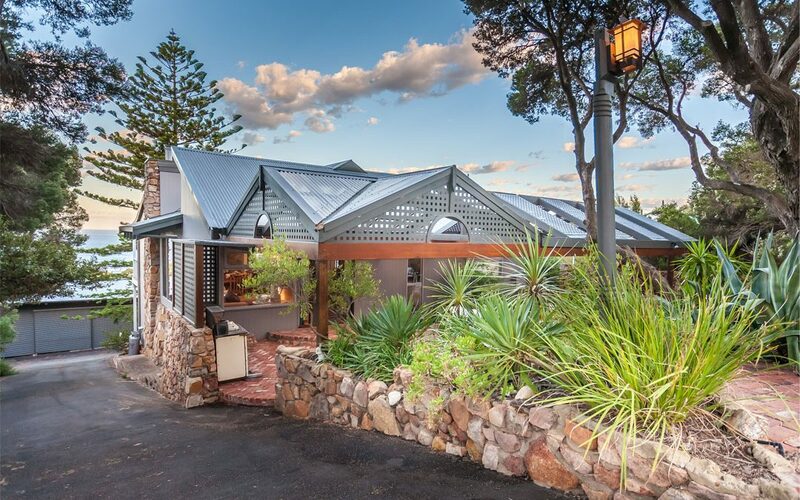 Trigwell established Yallingup Renovation + Construction in 2009, and prior to that he worked with some of the South-West’s most elite builders. 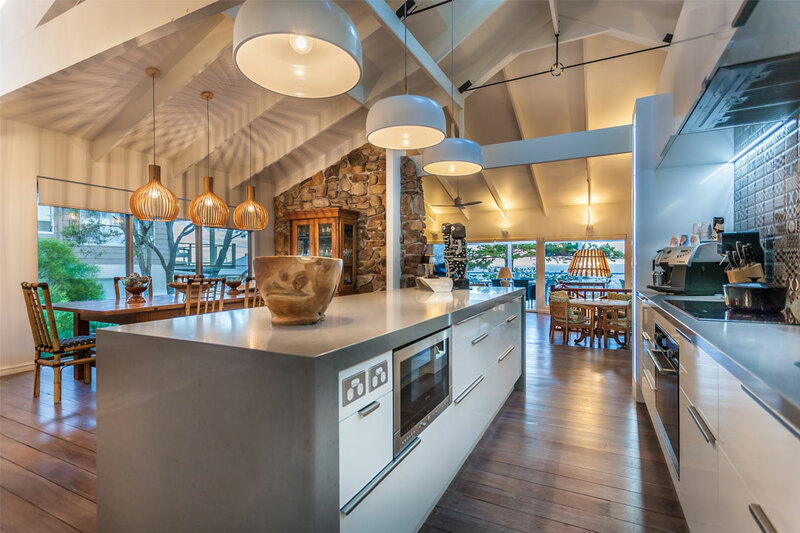 Yallingup Renovation + Construction can assist you with all design and construction phases, from the initial concept stage through to seeking planning permits and building approvals. They will work closely with you to ensure your budget requirements are met.